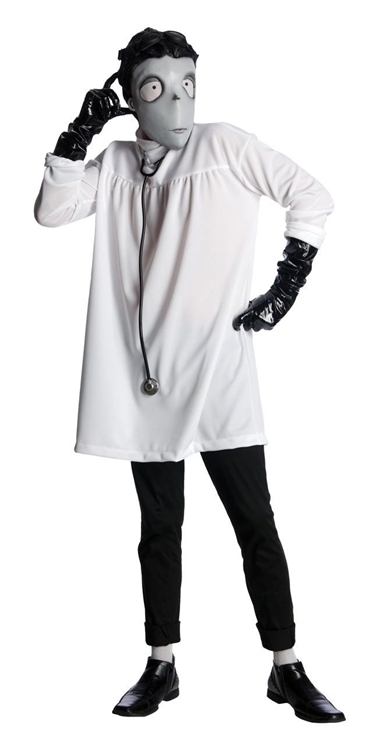 From Tim Burton's Frankenweenie, comes this fun adult costume for men (or women) - Victor Frankenstein. Includes: Tunic Lab Coat, Mask, Black Gloves and Stethoscope. One size fits most adults.